Thanks to Maxim, at least Microsoft would like you to thank Maxim, for the newly announced Dreadnaught map coming to Gears of War: Judgment. The new OverRun map will be free for a limited amount of time starting on May 15. A fly-through of the map is now available on the Maxim app on Xbox Live. 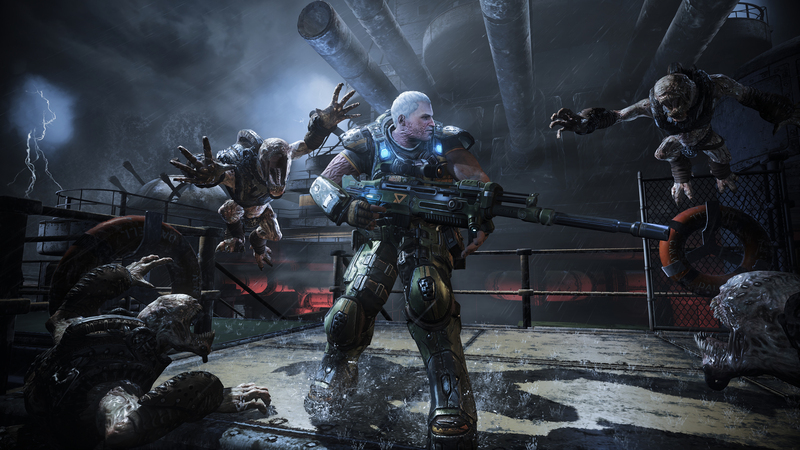 Do you still play Gears of War: Judgment? Do you consider it a faithful installment in the franchise, or simply as a way of cashing in? Considering it only shipped with four maps, each map pack only contains three additional maps, and now Microsoft continues to make external deals to bring free content, I surely think the company is milking the franchise for all that it’s worth.